Last night the LHC started injecting beams into the main ring for the first time in 2010. The last week has been frustrating for the LHC scientists with a series of minor problems related to components such as the new quench protection system delaying the restart. Finally at about 2 a.m. today the beams were circulating briefly and the main operations display included the characteristic smiling snowman plot first seen last year. This is the kickoff for science runs this year that could discover new physics beyond the standard model. Over the next few weeks the energy of the protons will be pushed up to 3.5TeV. When they collide this energy can be converted to mass to create new particles never seen before, if they exist! So what is the probable outcome? 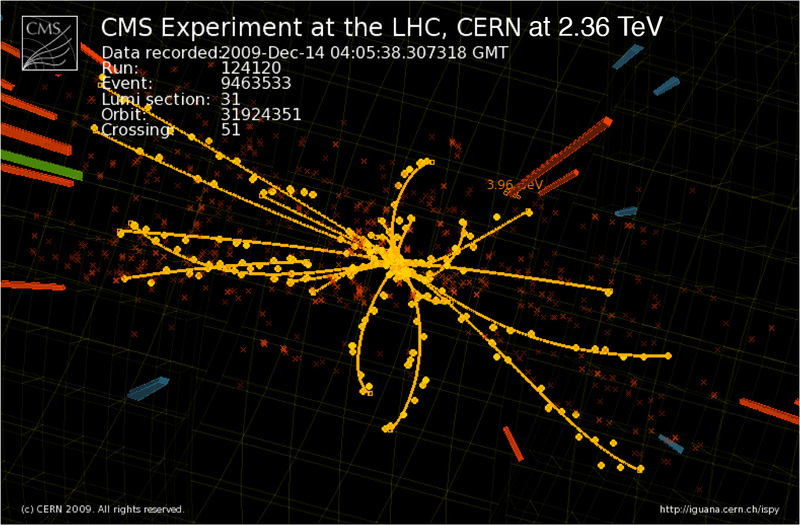 A major goal of the LHC is to find the Higgs Boson. The Tevatron in the US has been searching for it over the last few years and has excluded some mass ranges but without a positive result. The most likely scenario from both experiment and theory is that its mass lies in the 115 – 140 GeV range, although other possibilities are still viable. If this is the case then it will be hard to find at the LHC because its decay modes are hard to detect. We cannot expect to see it this year before the LHC is shut down for further upgrade work lasting a whole year at least. But could the LHC make any other breakthrough discoveries this year? Of course the answer is “yes, maybe”. If there are particles in amass range of about 200 – 700 Gev with the right properties then there is a good chance that they might be seen. We just have to hope that nature has been kind to us. Oh, did I forget to mention black holes? The idea that the LHC could create black holes is one of those wild ideas which if posted to viXra would be completely ignored, but because it came from some Ivy League research department people take it very seriously. A more convincing idea is that such small blackholes would not be different from any other type of elementary particles of the same size. It’s only because we do not understand quantum gravity well enough to unify the two concepts of black hole and particle that people invent the idea that they can be different. Black Hole production at the LHC is a red-herring. viXra.org is an e-print archive for papers in science and mathematics that was created in reaction to the restrictive submission policies of the well-known arXiv.org physics archive. Since its launch just 7 months ago we has received 529 articles from 176 different authors. 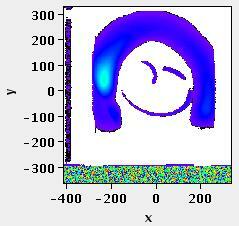 That is about 1% of the corresponding figures for arXiv.org and we consider that a very good result. The policy of viXra.org is to accept as many submissions as we can provided there is at least some scholarly content and no obvious legal issues. In fact only two authors have had rejections on such grounds so far and the same authors have had other papers accepted by us, so we feel we are living up to our main goal. Of course this policy means that we are open to submissions of a very low quality and many people have been very quick to criticise us for it. However the reality has proven to be quite different. Yes there are some articles that have very obvious faults, but at the same time there are many papers of a very high scientific quality. In fact viXra.org has over a hundred articles with comments indicating that they are already published in peer-reviewed journals. It is alarming to find that so many worthy papers could not be archived in arXiv.org because of its moderation policy. Another criticism we have faced is that as a small time operation we may not offer a permanent archive for these documents. The reality of this concern is demonstrated by a similar archive sciprint.org that ran for a few years before vanishing last summer. The good news is that with the help of the administrators of sciprint.org we have been able to recover most of the papers from a backup of the site and have began restoring them to viXra.org using the original dates. In addition, we now have a mirror site rxiv.org that is run entirely independently. This greatly increases the robustness of the archive and we aim to set up further mirrors of this sort. This blog has been set-up to report news on development of the viXra.org archive, but also to report general news from the world of science and mathematics. It is a good time to begin such a venture because tomorrow the LHC is scheduled to restart and it should soon be providing new science results. We plan to follow the progress from here. Hope you join us for the adventure. You are currently browsing the viXra log blog archives for February, 2010.